For many years, there has been a significant deficit in reading skills of village children in Zirobwe, Uganda. This is partly due to lack of teacher trainers and partly due to not having reinforcement at home since many village parents do not know how to fluently read or speak English. Since English is the national language in Uganda, it is important that students are taught not only how to speak it, but also how to fluently read it. 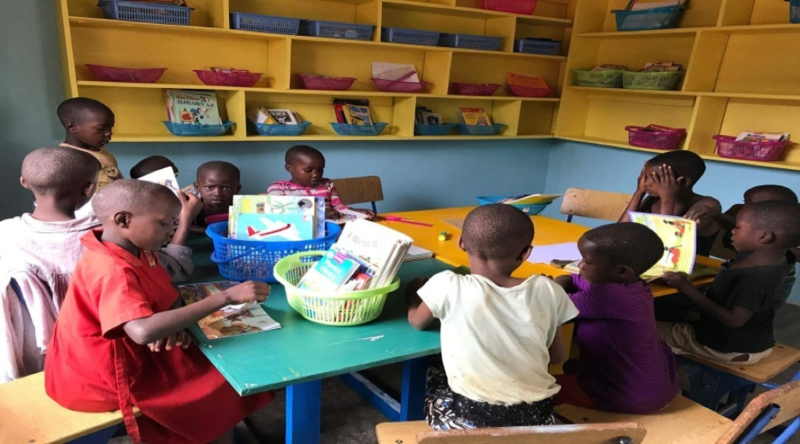 When volunteer, Natalie Puzuk, an elementary school teacher from Texas, traveled to Uganda and saw the huge need for reading skills in the village. She felt called to come back for 9 months in 2017 to volunteer specifically with Empowered Leader’s Academy, Empower a Child’s primary school, to help spark a love for learning and create opportunity to each child in her class. However, Natalie didn’t just stop there. She also realized that there was a need for a pit latrine, also known as the restrooms, in the school since theirs was in need of repairs and renovation. Natalie was able to launch a campaign and raise funds to give the school new pit latrines for the boys and girls. Thank you Natalie for your impact on the students and teachers at Empowered Leaders' Academy and thank you Armstrong Elementary School for your huge support to our children’s reading and hygiene standards. Empower a Child community will be forever grateful. If you would like to find out more how you can be apart of sparking a flame for education in Uganda and training teachers, email our Volunteer Coordinator here.